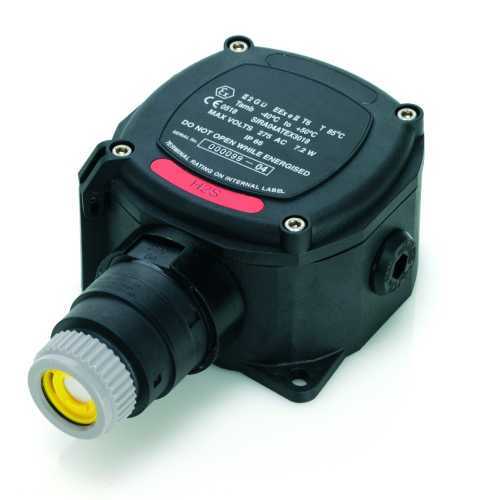 The Zareba Sensepoint JB range of flammable, toxic and oxygen gas detection sensors offer users a low cost solution to their gas monitoring needs, indoors or outdoors and even in potentially explosive atmospheres and compliments the Sensepoint Plus and Sensepoint Pro range of gas sensors. Supplied with a pre-wired junction box, a detector can be installed using conduit or armored cable and glands depending on individual site standards. Ease of installation is essential. The hinged lid of the junction box ensures both hands are free to complete electrical connections. Threaded M20, 3/4" and 1/2" NPT clearance entries are included as standard, each one fitted with an appropriate seal, so enabling the user to select the most convenient entry size to use. Maintenance requirements are kept to a minimum. Sensors have no user serviceable parts and are supplied pre-set for life. Normally used with the Zareba range of industrial controllers, all user adjustments are made at the controller as required. At the end of their operating life, simply unscrew the sensor and replace it with a new one before re-configuring the controller. Sensepoint from Honeywell Analytics (manufacturers of toxic and flammable gas detection systems under the Sieger and Zareba brands) can be used with a choice of controllers such as the Honeywell Zareba Unipoint, or operated from a customer´s own existing system due to the use of industry standard outputs. Note: Sensepoint flammable is preconfigured for 0-100% LEL methane. Contact the sales office for other flammable gas configurations.